Breaking radio silence to point to this worthy-looking Kickstarter project. It ends in less than 48 hours, but even if you’re reading this after the funding period has passed (and it looks like they’ll reach their goal, but they’re going to go ahead with the project no matter what), check out their submission guidelines if you’re a writer and think about picking up a copy yourself if you’re a reader. At any rate, Deep Cuts is a project about which I am not ambivalent and I am excited to see how it will shape up over the next few months. To make a long story short: my blogging intentions as well as lots of other writing I’d hoped to complete over the last month or so were swallowed by the monster of Real Life Obligations. Isn’t that one of the worst kinds of monsters? It’s right up there with guys like Tedium and Reduced Expectation. And you can’t ever slaughter any of them; the best you can hope to do is keep them at bay long enough to get on with the good bits of living. Like writing. I really do enjoy writing, most of the time; I know that some writers don’t, and that must be excruciating. Anyway, I don’t want to let the blogging fall away, because I’m increasingly feeling the need for someplace public to natter about what’s on my mind at greater length than one can on Twitter or Facebook. Writing and, when I feel like it, blogging shouldn’t be abandoned when crunch times occur any more than things like eating and brushing my teeth would be. Every writer deals with the question of how to prioritize their writing, and it’s not easy for anyone; yet for many or maybe most women there remains, even today, an extra dollop, a little bit more pressure, to put themselves last. Even for those who know so much better. 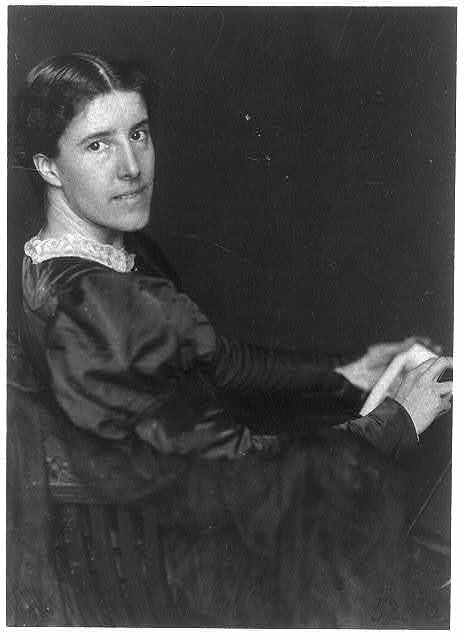 And that’s my lead-in to today’s woman in horror, Charlotte Perkins Gilman, who wasn’t actually a horror writer (nor was she primarily an SF writer, although she authored the 19th century feminist utopian novel Herland), but wrote one of the most powerful and still one of my favorite horror stories of all time, “The Yellow Wallpaper,” a tale about the oppression and silence of women. And so on. She can’t possibly be frustrated; she must be crazy. The true horror enmeshed in this story is not, it turns out, the creeping women in the wallpaper, but the destruction of the narrator by the person who is supposed to love her the most. But as with the best fantastical fiction, this effect is heightened to a feverish point that a tale of pure realism could not achieve. Gilman wrote about her own experience undergoing a similar type of “cure” and how it was her inspiration for the story. And you’ve never had the pleasure of reading “The Yellow Wallpaper” yourself, it’s available in a variety of formats at Project Gutenberg. Horror, the grotesque, the gothic–call it what you like, but a vein of horror runs through the fiction of many Southern writers: William Faulkner, Carson McCullers, Tennessee Williams, to name a few. And I like all those writers, but Flannery has always been the girl for me, ever since I first encountered her as a teenager. I think it’s her humor, her ear for dialogue, that first entranced me. It’s not that I had never read a Southern writer before–but listening to Flannery O’Connor’s characters talking was an awful lot like sitting around in the kitchen listening to my relatives. Flannery’s sense of humor is on the pitch-black side; she was also a devout and literal-minded Catholic. Rubbing shoulders with the New York literati in the early sixties, she snarled at Mary McCarthy’s comment about some element of the Eucharist being a nice symbol that “if it’s a symbol, to hell with it.” From Flannery we get the enduring image of the South as “Christ-haunted.” Christ-haunted, what an amazing turn of phrase. I wish it were my own. In Flannery’s fiction, religion may often be a locus of hypocrisy but the real deal, God and Jesus Christ and the angels, are terrifying. There is something almost elemental, something entirely inhuman and remote about the deity, and the world in which humans reside feels capricious and absurd. Flannery made me look at the place and the people around whom I’d grown up with fresh eyes, and she showed me the ways in which everyday life is shot through with horror and humor and that sometimes it’s hard to tell the difference. Her own life was as tragic and absurd as that of her characters: she spent the final weeks of her life dying in a room in Milledgeville, Georgia, all the while continuing to write, and lupus claimed her before her fortieth birthday. There’s still a little bit left of Women in Horror month (we get an extra day this year! ), but it looks like my little project will be extending into the beginning of March which is fine because, well, I am pretty much a woman in horror every day of the year. I should clarify what I’m doing here: I’m trying to write about the women who inspired and influenced me early on, so I’m not really looking at contemporary work. The 1990s with Kathe Koja is as right-now as we’re going to get. In fact, I shall be writing about quite a few dead women. But not right away. First I want to tell you about Lisa Tuttle. I first ran across her short story collection A Nest of Nightmares at the University of Georgia library when I was a student there. 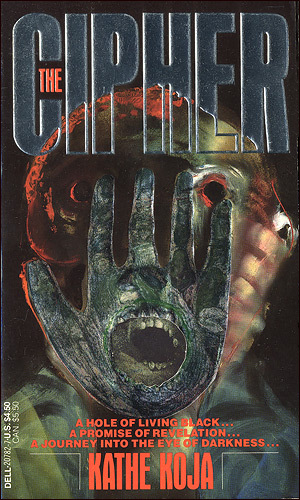 (They had a really terrific horror collection back in the day; it’s where I first encountered Karl Edward Wagner’s best of the year anthologies, among others.) 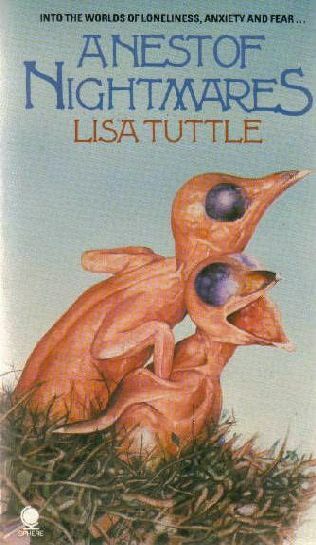 I think Lisa Tuttle was the first contemporary female writer of horror fiction I really identified with. She was a Texan–a Southerner, like me (I know people say Texas is its own country, but much of it still feels like the South); the young women and girls in her stories were people I understood. They were like me. These stories seemed like the kind of stories I wanted to write someday. A Nest of Nightmares is hard to find these days, and it’s no longer part of the collection at UGA (it’s one of the first things I looked for there when I moved back to town); it’s been so long since I read the stories that I can’t talk about them with any specificity, but I remember bits of pieces of them, and they got down deep inside me and stayed there and fortunately Ash Tree Press has released their first volume of her short stories, which I am very much hoping they will turn into an e-book, not because I don’t want to eventually own the physical book itself, but because in the meantime, when $49 is more than I can spend on a book, I could still return to those stories. I still remember how strange and off-kilter they made me feel and yet how they also made me feel in some secret way like I belonged with them, like she’d been writing them just for me. Hallucinatory, feverish, dreamlike–I keep writing and erasing these clichés to describe how Kathe Koja’s books felt the first time I encountered them in the mid-90s. She was, for me, the antidote to the complacent middle-class families threatened by horror in so much novel-length fiction of the 70s and 80s. Her protagonists were artists, fuckups, obsessives; her books felt dangerous. Performance artist Bibi can’t stop cutting her flesh. Tess creates massive SRL-inspired mechanistic sculptures. Nakota’s obsessed with the ‘funhole’ that’s appeared in the floor in Nicholas’s apartment. Robin, an artist with schizophrenia, begins to transform into an otherwordly being in the care of photographer Grant: supernatural event, or folie à deux? Koja wrote and still writes other books but it was this trilogy of novels that spoke to me then: The Cipher, Skin, and Strange Angels, all of them savage, bleak, relentless journeys into the psyches of lost and damaged people. Her prose, her depictions of people on the edge, her eschewing of traditional plot devices–I loved all that, and she was fearless, she was audacious in these books. In the end I’m not sure the genre label was the best thing for them; she was working in a transgressive tradition that’s made literary cult heroes out of writers from Burroughs to Palahniuk and points beyond and in between. These days she mostly writes YA, which I’m sure is excellent, and a couple of years ago a non-horror adult novel, Under the Poppy, published by the delightful Small Beer Press. It seems only right, honestly, that she’s moved away from these sustained journeys into madness; it’s not a vein you can mine indefinitely with any integrity, I don’t think. I haven’t read any of her novels in well over a dozen years; this blogger returns to The Cipher after many years and his thoughts on Koja really mirror my own. I’ve been terribly remiss. It’s Women in Horror month and I haven’t done a thing for it. Last year I wrote an appreciation of Caitlin R. Kiernan’s The Red Tree for Peter Tennant’s Case Notes blog over at TTA Press. The year before that, I wrote about attending a festival of shorts by women at Athens Cine. This year, for what remains of February, I’d like to try to complete a series of blog posts on women horror writers who have been especially important to me personally. As I say every year at this time, I have mixed feelings about this month. I don’t particularly want to be known as a Woman in Horror. I want to be known as a horror writer, full stop. (Come to think of it, I’d like to just be a writer–I am not that crazy about hairsplitting genre labels and categories either, but that’s another post for another day.) And yet I’ve heard enough stories that I do see a need to raise awareness that there are a lot of women who work in the genre and a lot of women fans of the genre. The fact is, my personal experience with male editors has been nothing but positive. My personal experience with fellow writers/aspiring horror writers and fans has been mostly positive, and aside from having to occasionally dissuade people of the assumption that I must write paranormal romance or urban fantasy because I am a woman (not that there’s anything wrong with that! it’s just not what I happen to do! ), those not-so-positives were quite a long time ago. But women do get overlooked. I recently saw a horror 10 best of the year list for 2011, for example, and not one book on it was by a woman*. Okay, so it’s entirely possible that the compiler’s ten favorite books were all by men. But I couldn’t help thinking: really? Not one? And I can’t help wondering how much effort the compiler of the list put in seeking out horror by women last year. I’ve known quite a few guys who freely admit they don’t read books by women and others who, when pressed, have allowed as how they don’t have any particular opposition to doing such a thing, they just . . . don’t read women. Anyway, I’m going to try to write about some of my favorite women writers in the genre here over the next week. In the meantime–I was going to send you back to the piece I assembled on women writing horror at Sinescope, but the site is temporarily down. I’ll link when it’s back up.